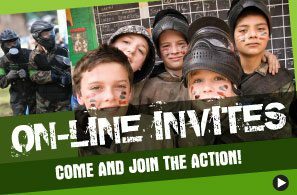 Low-Impact Mini Paintball for young warriors 8-10 years old! 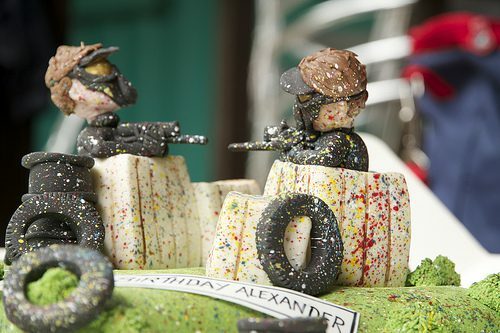 Our Mini Paintball days for 8-10-year-olds make excellent birthday paintballing parties and school trips. From the timid to the brave-hearted, everyone can enjoy a day at Campaign. 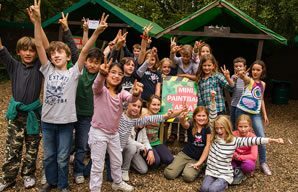 With the help of our friendly instructors, children will build in confidence and learn to work and communicate with others – all whilst having fun in the fresh air of our beautiful 100-acre forest, south west of London. 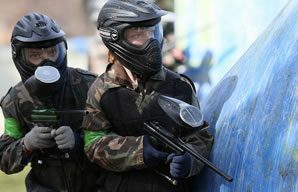 What is the difference between Mini-Paintball and regular paintball? 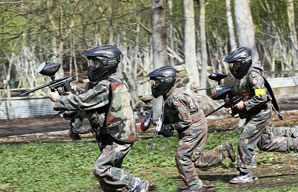 Mini-Paintball takes place most Saturdays and Sundays and on special dates during the school holidays. 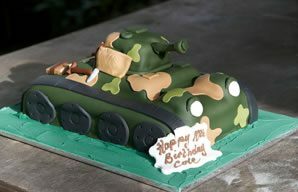 In the summer, we can also private parties in the evenings. 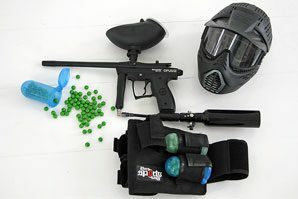 With Mini Paintball there is no need to buy more paintballs as we supply paintballs for each game. Our staff will make sure the kids are loaded up before each game so there’s no bother or stress for parents present during the day. 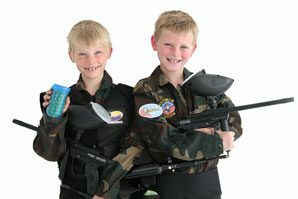 On arrival, children will be issued with all their equipment and ‘combat suits’ with Campaign staff on hand to check everything fits. 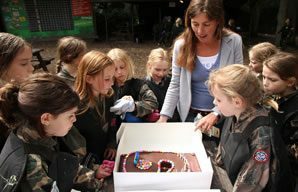 When everyone is ready, a senior instructor will explain all the safety aspects, how to use the equipment and the rules of the game. 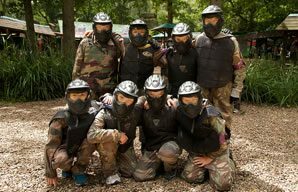 Then the battles commence, with all games fully supervised by our expert staff, who organise everything, keep everyone safe and make things fun. Please find below an approximate itinerary of what happens during an afternoon Mini Paintball party. We require at least one parent to be in attendance to hand in the registration/consent form, help with tying shoelaces etc. 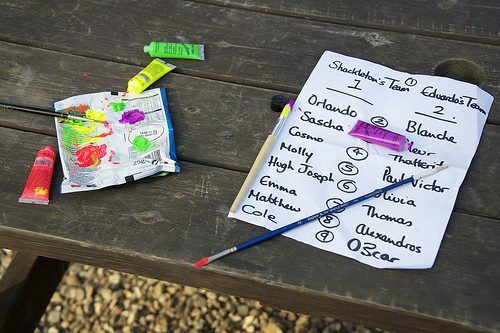 and supervising the children in the reception area when they are not playing paintball. Tea & coffee and free WIFI is available. Other tips can be found here. 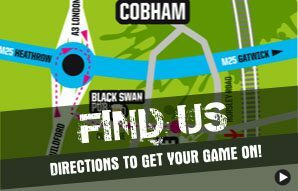 However..
For those that don’t wish to stay, (but have too far to travel home) The Black Swan is a very nice country pub serving excellent food and wine and only 800 yards from Campaign. Wisley Gardens and dog walking areas are also close by.